If it’s in a word, or it’s in a look, if you’re after great horror, you’re in luck! “The best horror movie in years” tends to be the key phrase to use when describing a genuinely good horror film. However, I think modern horror tends to get a bad reputation due to the amount rubbish produced. We’ve had endless Paranormal Activity films which seem to make big money and the appalling Human Centipede movies seem to make big noise, but these films aren’t especially ‘good’. Unfortunately though, they tend to overshadow the fantastic horror films we have been getting recently such as: You’re Next, The Sacrament and Cheap Thrills to name a few. The Babadook can now pop itself onto that list. In fact, I’d say that it’s easily the best and scariest supernatural horror film since the underrated Sinister. 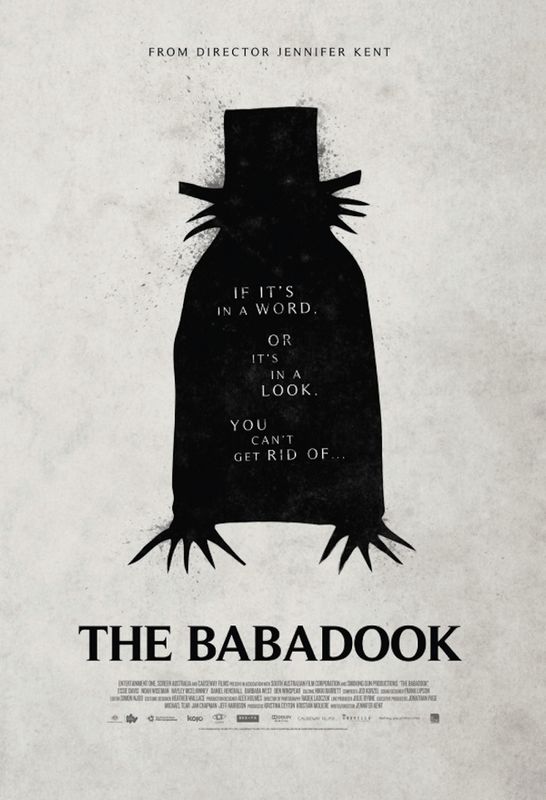 The Babadook still seems to get quite a lot of criticism for some reason though. To be fair, the trailers do make it look like some sort of run-of-the-mill jumpy ghost story, so perhaps audiences were disappointed when they got a film full of rich characterisation, domestic drama and psychological depth. I wasn’t. The Babadook certainly isn’t your typical supernatural horror film though. 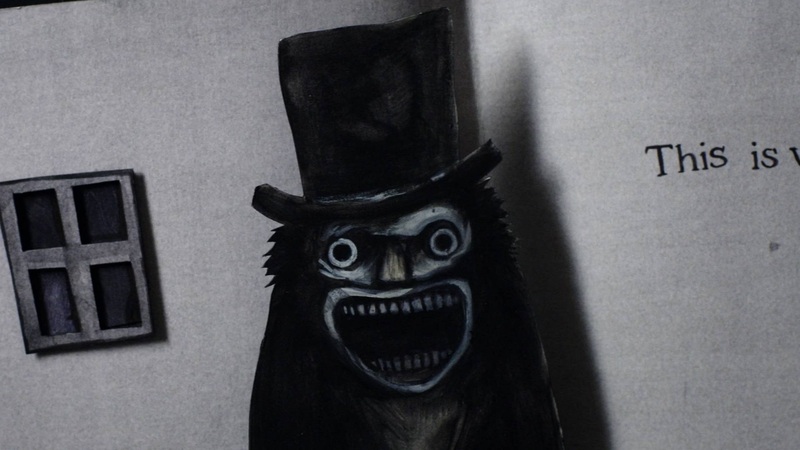 We’re not even given a glimpse of the Babadook himself until about 50 minutes into the film, but this doesn’t matter because the central themes and characters are so strong. There seems to be some debate as to whether this is a supernatural or psychological horror film. Some think that it leaves it up for the viewer to decide, but I thought that director Jennifer Kent was making it quite obvious that this was a film about a woman going mad. It’s very much in the same vein of The Shining and Repulsion as our hero slowly descends into a total schizophrenic onslaught of terror. As a result, we’re given a much deeper and character-driven film about grief, motherhood and madness. The heart of the film is the relationship between a mother and son. Both actors are pretty extraordinary, especially the mother played by Elsie Davis who gives an incredibly strong and shattering performance. Many have described the boy as the most annoying child to ever appear in a film, which is a pretty bold statement and one which I wouldn’t necessarily disagree with! The decision to make the boy as painfully annoying as chewing a wasp is an extremely conscious one though as we’re put directly into the shoes of the mother. Amelia finds her son extremely hard to love as she subconsciously blames him for the death of her husband. By the end of the film we end up feeling as crazy as Amelia! The Babadook is so much more than just a ‘scary’ film though. It carries so much depth if you’re willing to read into it more. It has a genuinely interesting and engaging character at the centre of it and is willing to throw the audience right into the middle of her mental breakdown. It’s also really well-made, especially considering the teeny weeny budget. The production design is pretty outstanding and the infamous Mister Babadook book itself is beautifully made. This is a film which horror fans should welcome to their bosom. It’s genuinely scary, masterfully directed and has a super screenplay to match. What more could you want? It’s also a great advert for contraception if your partner is starting to get broody.